Project management (PM) as a formalized discipline and a methodology has been around for decades. It is most obviously utilized in design and construction scenarios, but it is also finding utility in other, less “mechanical” circumstances. It also tends to have a better life in large, reasonably bureaucratic organizations than in small to mid-size companies and companies with a more “organic” culture. This means that, even after all this time, there are a lot of organizations that still have not taken advantage of the benefits of competent project management. Too often “project management” is assigned to an individual who does not see it as a career path and, therefore, treats it as a temporary distraction. The cynical view of this would be that the company is simply assigning someone to be the scapegoat if things go wrong. A more generous view would be that the company simply does not understand what project management is and what benefits it can deliver. 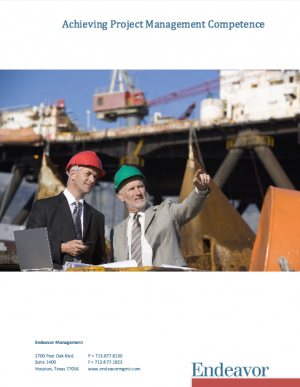 This whitepaper discusses the means for achieving the appropriate level of Project Management competency in an organization.